Savvy homeowners oftentimes look for ways of increasing a home's value, earning them a greater return upon sale. 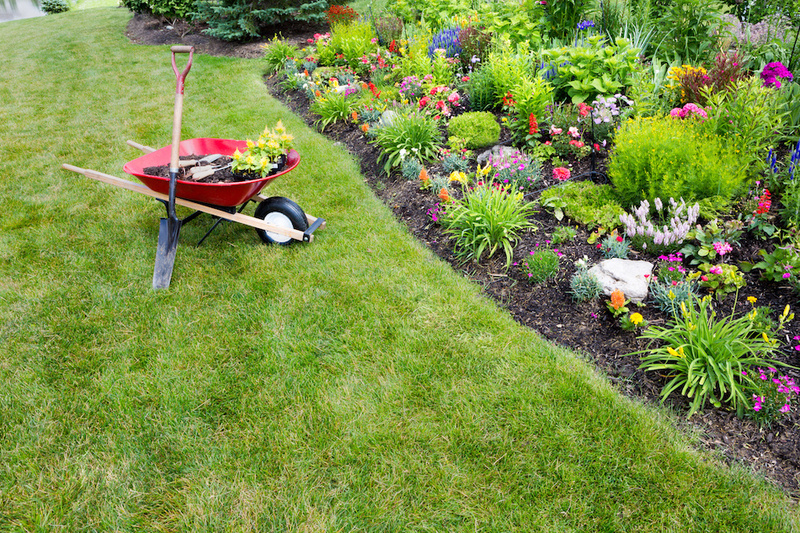 Improving a home's landscaping is one way to increase its value by helping to boost overall curb appeal, as well as improve homeowner enjoyment of the property. The trick is to create a practical balance that works for the people who live in the home. These ideas help homeowners maximize space and use of their yards. Although green space is a major aspect of home landscaping, creative placement of exterior hardscaping is an excellent opportunity to provide better access to the yard. People can invest in a detailed design that offers wending walkways, delightful spaces for patio seating, or a useful transition between the living landscape and water features. These days, many homeowners try to avoid the stark approach that sets concrete as a separate world, at odds with trees and other plants. Incorporating both throughout the yard helps to make a more cohesive layout that feels natural but functional. Like hardscaping, putting water into a landscaping design does not have to feel like an artificial device meant to distract. Instead, water features such as ponds, waterfalls, even swimming pools and hot tubs, can appear as if they are perfectly matched with their environment. Plants that thrive on or near water can provide the perfect threshold between surf and turf. Bubbling waterfalls that run down natural stone into a pond or hot tub may offer an ideal respite from the daily world. Homeowners can choose just how they want it to look. They may prefer the clean lines of concrete and tile, or the more unrefined shapes that come straight from nature. Part of improving a home's landscape design involves increasing the amount of the property that is easily used by the homeowner. Extending the living space into the yard, particularly during the warmer months, may be an effective way to manage the daily needs of the family. People have a lot of options in this area, depending on the size of their properties and their budget. A certain space in the yard can be devoted to seating, ranging from a simple bench or set of chairs to a large seating or standing area that is splendid for entertaining. The traditional outdoor grill may be transformed into a full outdoor kitchen, complete with sink, countertops for preparation, and plenty of room for a wood-fired oven. Every bit of a property deserves careful planning, and the landscape design is no exception. When Round Rock homeowners balance the hardscaping, water features, and living space in their yards, they will gain greater use and long-term satisfaction.